Pet therapy is one rewarding way to support patients and families in our care, among many other volunteer opportunities. Volunteer Tara Fulker and her sweet pup Scout have left soft spots (or paw prints) on the hearts of many patients and families. 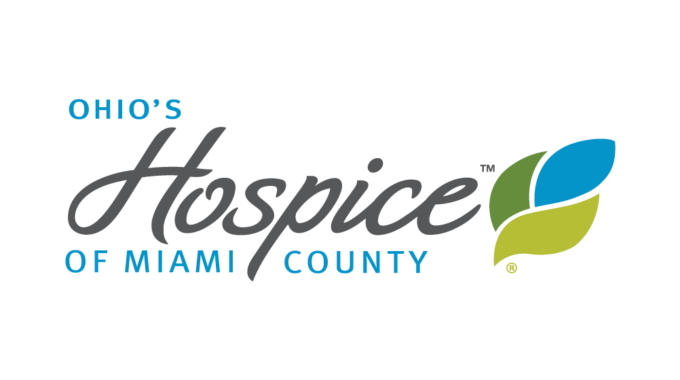 Tara knew Scout had the heart for hospice after recommendation from an obedience instructor. As she may be gentle, Scout also has quirky personality traits. She sleeps on her back with all four legs sticking in the air, loves to eat cooked sweet potatoes and has “two speeds: sleeping and running,” as explained by Tara. “She loves to run off leash at the nature preserve and any empty field I can find. Her arch enemy is any squirrel or chipmunk that dares pass into our backyard,” Tara said. 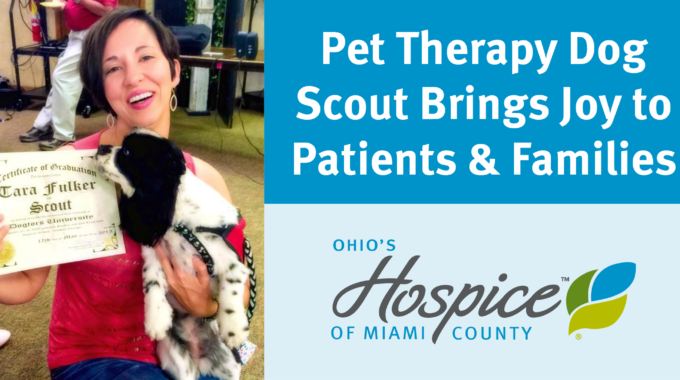 We thank Tara and Scout for the kindness and compassion they share with patients and families at Ohio’s Hospice of Miami County. 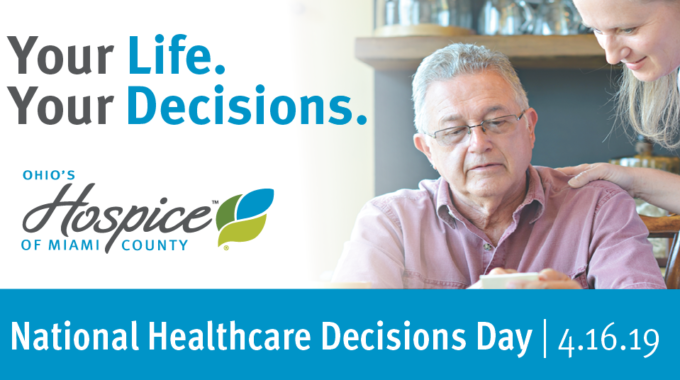 If you are interested in being a volunteer, please fill out a volunteer application and contact Volunteer Coordinator Krissy McKim-Barker at 937-573-2115 or kmckimbarker@ohioshospice.org.